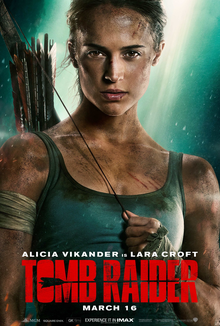 This live action feature is inspired by the most successful interactive video-game character in history — Lara Croft. Beautiful and brainy, Lara (Angelina Jolie) is the heroine of Eidos Interactive’s phenomenally successful “Tomb Raider” game series. It is one woman’s fearless quest criss-crossing the globe, in an amazing attempt to save the world.